Antony and his team undertook an extensive list of extensions and refurbishment to our property both internally and externally during 2018. One of the key elements was the addition of two large dormers in order to extend a bedroom and add an en-suite. Our brief to Antony was to make them match, as near as possible, to the existing dormers such that they didn’t stand out as a separate building phase and detract from the overall look of the property. Antony and his team exceeded our expectations, not only in the build quality but in that the new dormer extensions are indistinguishable from the existing construction. In short, they look as though they have always been part of the house, which is more than we could have expected. The subsequent internal fit out has been excellent delivering exactly the finish and quality we had been hoping for. In addition, we presented Antony with the challenge of delivering a roof top terrace “like the one in the picture”. There were a number of significant structural limitations which needed to be overcome to deliver the terrace. Working with the Structural Engineer Antony and his team have created a solution that is better than “the picture” and exceeds our expectations by some margin. Externally Antony and the team have re-laid over 160 sq. meters of pathways with sandstone flags. The quality of finish along with the sweeping curves attained has really given the garden a real wow factor. The best testimonial we can give Antony and the team is that, as the work has progressed, we have been so pleased with the outcomes that we engaged Antony to carry out further works including refurbishing an existing bathroom, replace all of our internal doors, re-plaster two ceilings, re-decorate the lounge, hall, stairs and landing, re-route two rainwater drains, replace the front door and sidelight and re-tarmac 100 sq. metres of driveway. Finally, we would like to express our thanks to Antony and his team, not just for all the hard work, but also for all the input and suggestions that have contributed to getting the best result possible and exceeding our expectations. Wake up to this every morning! Anthony and his team of professionals started our project in July 2017. We wanted an existing conservatory demolished and replaced by a large kitchen extension. This then allowed the existing kitchen and lounge to be knocked into one large lounge to accommodate our large family. We are delighted with the end result which exceeded all our expectations. At every step, Anthony and his team listened to what we wanted and worked hard to ensure that everything was completed to our specification. Nothing was too much trouble. We would like to thank Anthony and all at Churston builders for all their hard work. We would definitely use them again in the future. We highly recommend Anthony and his team from Churston Builders. They undertook a complete renovation of a ground floor flat for us in Kingswear during 2016/17. This involved a complete strip out of the previous property, which had not been renovated for 60 years, then a complete refit. The refit included new ceilings and ceiling insulation, insulated wall cladding, replacement flooring, kitchen, bathrooms, electrics, water pipework, architraves, skirting, doors, plastering and painting. The work has been done to a very high standard, and the outcome looks fantastic. At all times, Anthony and his team were helpful, hard-working and a pleasure to deal with. We would certainly use them again. Completed dining room and sun room. I would like to thank Anthony and his excellent team at Churston Builders for transforming our dreary kitchen and outdated dining room into a fantastic open plan wow kitchen and dining space. Throughout the project we were impressed and pleased by the professional approach, skill and quality of workmanship in which his team carried out the work, this entailed: removal of our old kitchen units and the dividing wall between the kitchen and dining room, installation of support steel work, fitting pocket oak doors, plastering walls and ceilings, installing Howdens kitchen units, electrics, fitting French doors, laying laminate oak flooring throughout, paint and decorating - we are absolutely delighted with the end result. From the start to the finish of our new extension, new roof and fitted kitchen Anthony and his team were polite, hard working and reliable.Anthony listened to what we required and kept us informed at every stage and provided sound advice. They were professional and quality materials were used which showed in the finished build. Churston Builders were an excellent choice and we would have no hesitation in recommending their work or using them again in the future. We couldn’t be happier with our garden and the work carried out by Anthony and his hard working team. From paper to finished result we can hardly believe how the garden previously looked, the team worked hard through some soul destroying hot weather and gave us a wonderful space. Anthony was always available and any queries he was only too happy to listen to and help with, his experience certainly helped us add to the finished result. Our decision to have decking was a highlight, Tom a craftsman indeed, created a wonderful area for us and really transformed the upper area of our garden and extended the lower half which had existing decking. A beautiful job, with a polite and hard working team. We would recommend them whole heartedly and appreciated their work so much that we are having them work inside our property during the Winter. We are happy to recommend Churston Builders , Anthony has a great team who work well together, produce a good standard of workmanship and complete the work on budget and schedule. 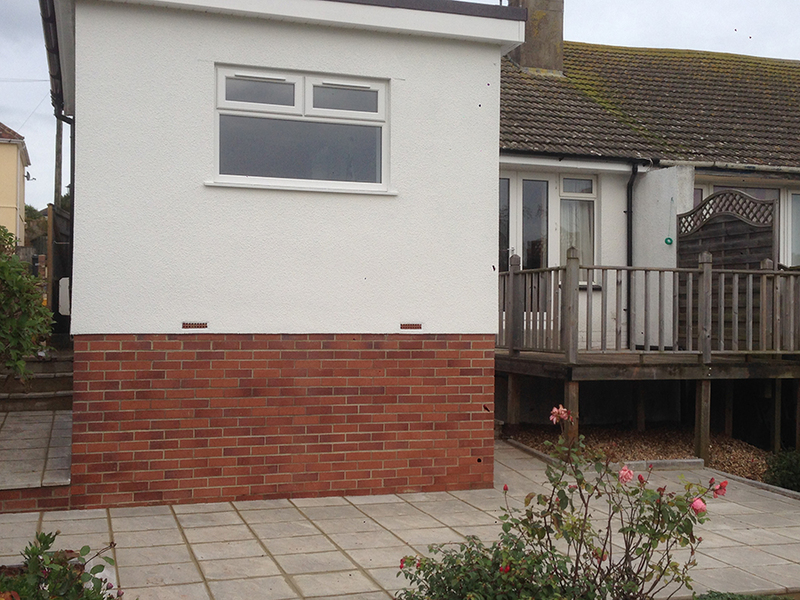 We are very pleased with the garage construction and garden walling and will be using them again. Double garage with pitched roof. Churston Builders have done an excellent job in updating a very tired house and getting it ready to go on the market. Anthony was very helpful in suggesting the best solutions to achieve a modern clean look to maximize the sale potential. The entire house was re-plastered to an exceptional standard which completely transformed the look and feel of the property. All rubbish was removed from the site and at all times Anthony worked to the quote provided. I am very pleased with the end result and would not hesitate to recommend Churston Builders. One of the most competitive quotes, agreed a start date and was very patient even though the local authority messed us around rather. Started when he said he would, always left the property tidy, no nasty surprises and no sharp intakes of breath. Nice team of lads, hard working and honest. I have already recommended them to a couple of friends who need work doing around their properties. We originally hired Churston Builders to construct a brick built workshop in the garden. We were extremely pleased with the results, so asked Anthony if he could take on more work. 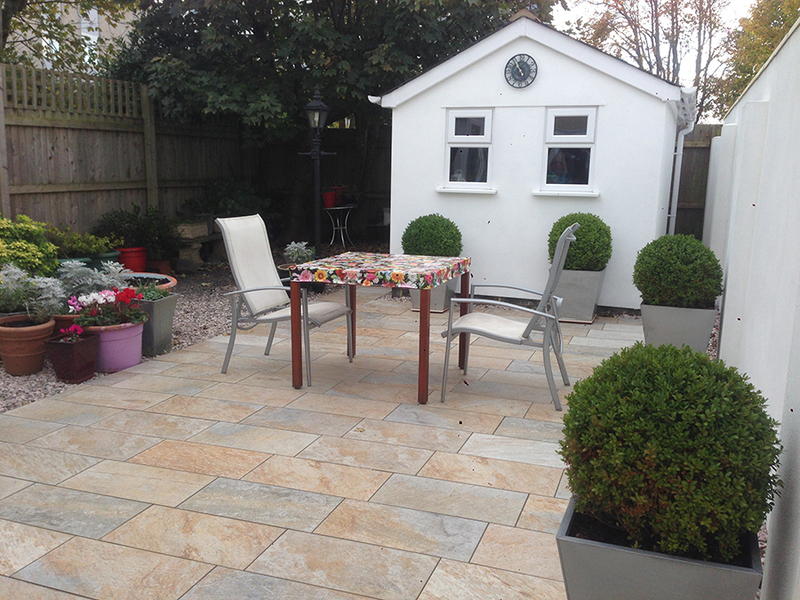 He and his team have now completed the workshop, built a wall and prepared a large patio area for tiling. Timekeeping was immaculate – the team were courteous and friendly and the standard of work great. We have had one or two bad experiences in the past, so to find Churston Builders through ‘mybuilder’ has been a very positive experience for us. Anthony is a real credit to his father, who first began the business some time ago. He and his team worked so hard in torrential rain and scorching sun and they were always cheery and positive. We would (and probably will!) hire them again. Well done lads!! We would like to say a massive Thankyou Anthony to you and all your team for the wonderful job that you have done on our home. We are delighted with our new dining area and it has far surpassed our expectations. The standards of the finish are superb as always and it's great to know that we have builders that we can trust to do a great job from start to finish, and at budget and on time. We have and will continue to recommend Churston builders, and very much look forward to our next project being completed. Perfect for long summer evenings entertaining! I was recommended to Churston Builders when I need a builder for a complete internal updating of a Torquay property in 2013, for our family home. We only had 6 weeks for the work to be completed before we were moving in. During this time Churston builders fitted new floors, new doors, new stairs, new fireplace, removed an internal chimney stack, re-plastered three rooms, liaised with our plumber and electrician for a complete re-plumb and re-wire. The work was on time, on budget and carried out to a high standard. Two years later when we planned an extension and new driveway we had no hesitation on asking Antony of Churston Builders and his team to carry out the work. Antony helped project manage the whole process, kept us informed and up-to date with progress along the way. The work carried out, was again on time to a high standard and always kept the site clean and tidy. 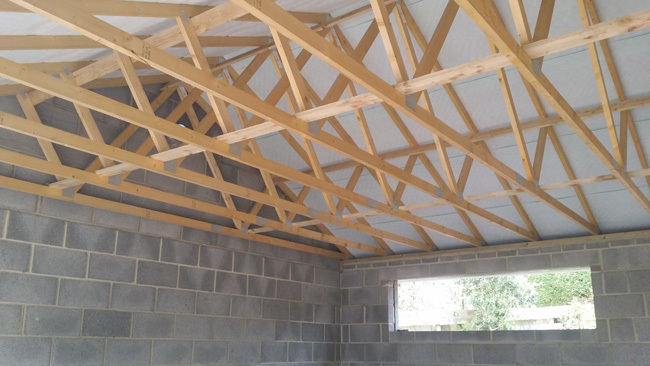 I would say that Antony has the refreshing ability to look at a project and work with the clients best interest at heart to a high level of workmanship. Our family would like to thank and recommend Churston Builders for all their work which totally transformed our house into a beautiful warm family home which we love. The much extended bungalow on completion. Once again we are really pleased with everything that you and the guy's have done for us Anthony, very professional from start to finish, a really nice team of people who we felt we could totally trust which is very important. Amongst the four or five builders we asked to give an estimate, Anthony stood out from the competition for his willingness to give estimates which broke down what we would have to spend. His staff and associates are all properly qualified and experienced tradesmen. They arrived promptly and really worked hard. Anthony kept in constant touch by email and nothing was too much trouble. We have no hesitation in recommending Churston Builders. Anthony and Ollie have been a real pleasure to work with. They have tackled every job with enthusiasm and good humour and the quality and care they put into their work is outstanding. This has been a long and at times very difficult renovation and when there has been an unexpected problem we have been able to sort out the solution without fuss or bother. Where there have been extras, Anthony has been unfailingly honest and his accounts have been accurate to the penny. This project has covered everything from renovation of 1800s stone to a new-build oak extension to extensive groundworks and paving. In the year Churston Builders has been working on this job he and Ollie have become part of the family and we will be sorry to see them go when it is finally complete. We recommend them unreservedly. From the start to the finish of our new extension Anthony and his team were polite, hard working, listened to what we required and kept us informed. They were professional which showed in the finished build. To sum up Churston Buiders were an excellent choice and we would definitely use them again. First of all I would say, don’t be put off by the age of Anthony, he may be young, but he knows what he’s doing.He has just laid our new driveway, and i couldn’t be more pleased. 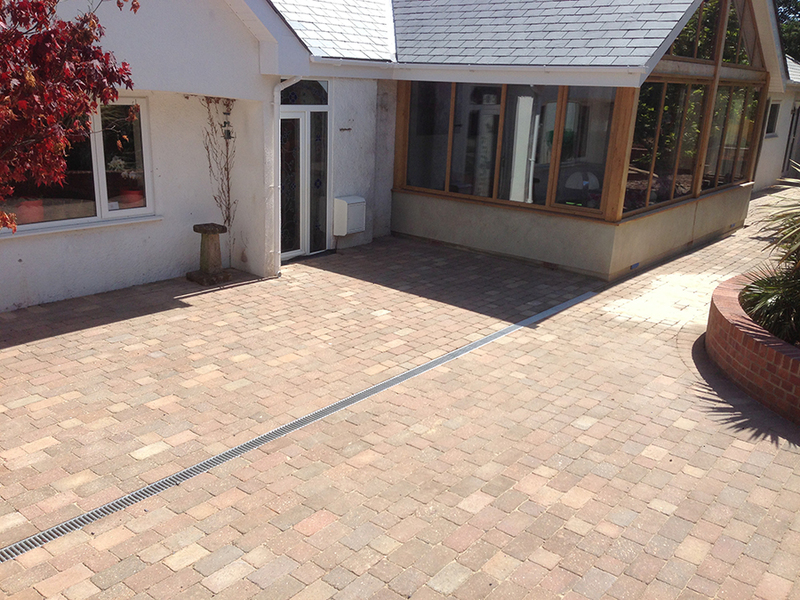 Churston are professional in their approach, hard working, and you can trust them to get on with the job in hand.The quote was very reasonable, with no hidden costs, and we were kept informed at every step.The driveway looks fantastic, and we have already asked for a quote to do the gardern wall !! I would highly recommend them and would definitely use them again. 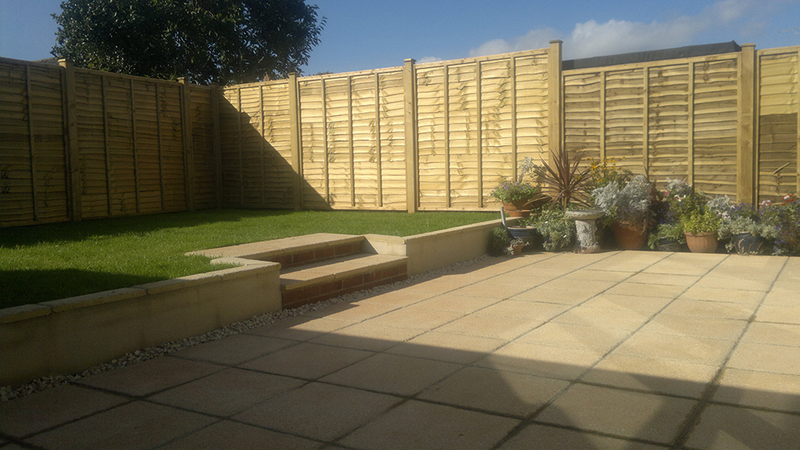 We hired Churston Builders to Landscape our garden, add new fencing, including a new gate, patio, plastering front of house and also block paving of our driveway and front path. Anthony and his team work to a very high standard and we were absolutely thrilled with the results. They have totally transformed our property. Everyday they always arrived on time, were very polite,friendly and respectful to us and also when leaving our property at the end of the day, where this was always left spotlessly clean. We would highly recommend Churston builders and already have done, to friends and other family members,and we will definitely use them again in the future. We first hired Churston Builders at the beginning of the year for Garden landscaping, what a fantastic job Anthony did, I was so happy with the work I have since hired Anthony’s firm for several other jobs including bathroom refurbishment, rendering the front of the house, plastering and solid oak flooring through the whole of the downstairs house, he and his team have done a marvelous job and all were on time and within budget. I am over the moon with all the work they’ve completed for me and my wife. I would highly recommend Churston Builders to anyone. With there competitive prices and polite attitude they were a pleasure to employ, I will be using Churston Builders once again in the near future for a kitchen refurbishment and any other work I may need to have done.